In the animal kingdom, each species has its unique adaptations for reproduction. Asexual reproduction produces genetically identical offspring (clones), whereas in sexual reproduction, the genetic material of two individuals combines to produce offspring that are genetically different from their parents. During sexual reproduction the male gamete (sperm) may be placed inside the female’s body for internal fertilization, the sperm may be left in the environment for the female to pick up and place in her body, or both sperm and eggs may be released into the environment for external fertilization. Seahorses provide an example of the latter, but with a twist (Figure 13.1). 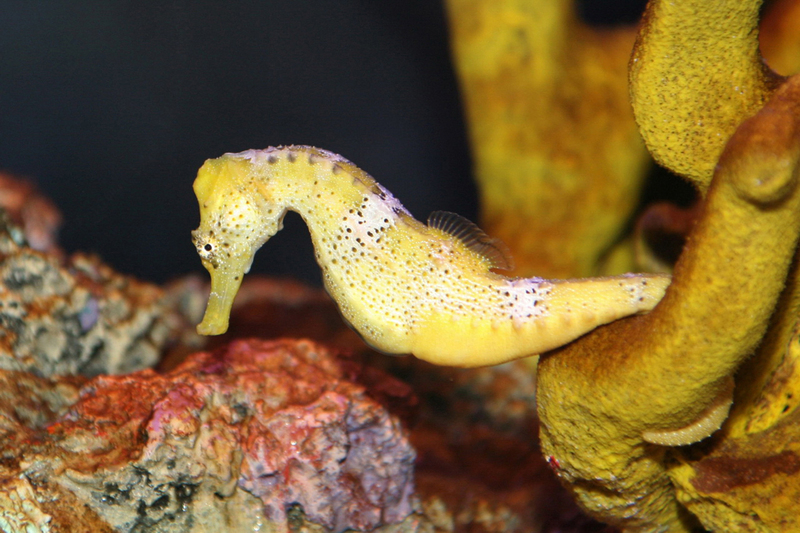 Following a mating dance, the female releases eggs into the male seahorse’s abdominal brood pouch and the male releases sperm into the water, which then find their way into the brood pouch to fertilize the eggs. The fertilized eggs develop in the pouch for several weeks. Chapter 13: Introduction to Animal Reproduction and Development Copyright © by laesoph. All Rights Reserved.